We made this during our farm unit. This bulletin board was made completely by 1st / 2nd grade students. They painted the background on 2 strips of chart paper. 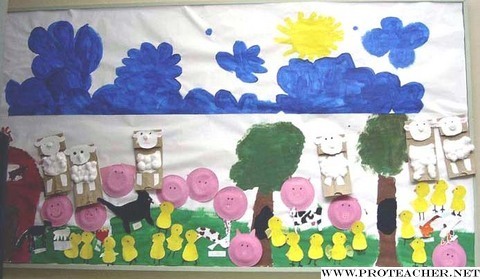 They made all the animals: the pigs from paper plates and the sheep from paper bags. All of the animals are hand painted.